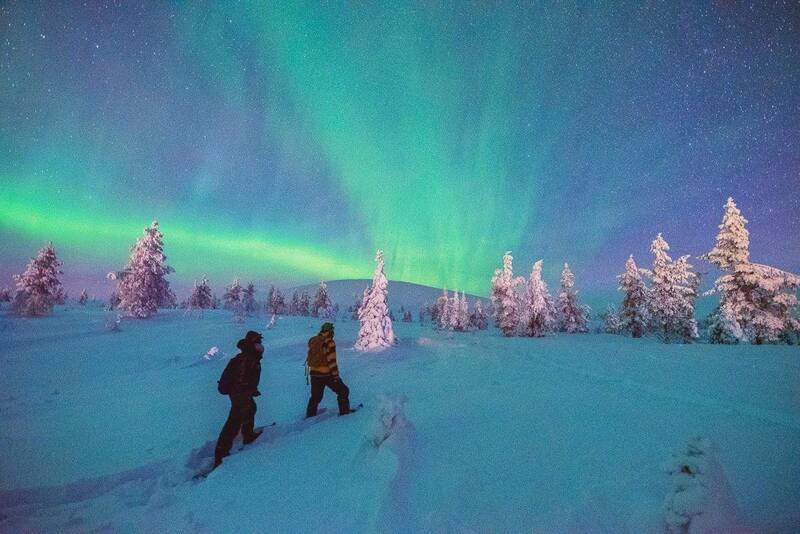 Ask a group of ten people what’s on their bucket list and we can almost guarantee that at least one will say ‘going to see the Northern Lights’. Iceland is synonymous with this phenomenal, light display of swirling skies made up of radioactive greens and candy floss pinks. 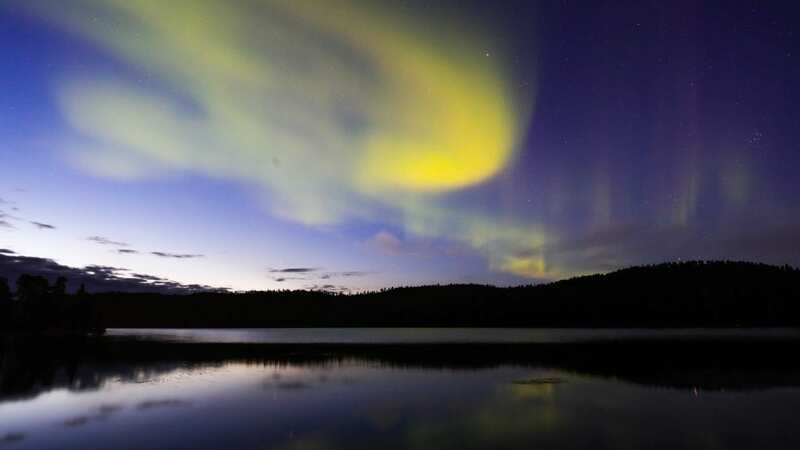 Aurora Borealis, as its also known, is caused by electrically-charged particles from the sun (solar wind) entering the planet’s magnetic atmosphere. 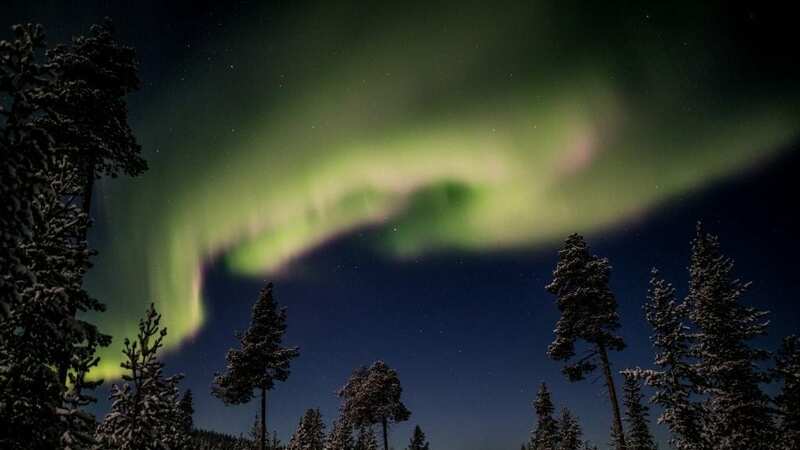 Below, Ali McLean, founder of the UK’s first dedicated Northern Lights holiday company The Aurora Zone, tells us everything you need to know about one of nature’s most fascinating, natural gifts to the world. Unfortunately, in terms of forecasting when the lights will appear, even the very best Aurora watchers can only make accurate forecasts a few hours in advance. However, historical data does suggest that geomagnetic activity occurs more frequently in the weeks around the spring and autumn equinoxes. If you enjoy cold weather, snow and winter activities, then March is definitely worth considering. To avoid the sub-zero temperatures and perhaps enjoy those burnished colours of autumn, then September and October are most likely to serve you well. It’s worth remembering that there is no best place to see the Northern Lights. You are just as likely to see them from Arctic Finland as you are Norway, Sweden, Greenland, Canada or Iceland. Consider your destination carefully because you will also need to occupy yourself during the day while you wait for darkness to fall. The Arctic is not pitch black for six months of the year and you won’t be able to see the Aurora during daylight hours, so make sure you have enough to entertain. Try husky sledding, snowmobiling, reindeer safaris, cross-country skiing and more! Sometimes, it requires a lot of patience and determination to see the Aurora and if the lights kick off at 2 am, you are going to struggle to escape the sodium glow of a heavily populated urban centre. If you are somewhere more remote or isolated, it is often enough to simply step outside and gaze in wonder at the pitch-black Arctic firmament ablaze with swirling lights. Only a fool would venture unprepared into the Arctic without a knowledgeable local guide. 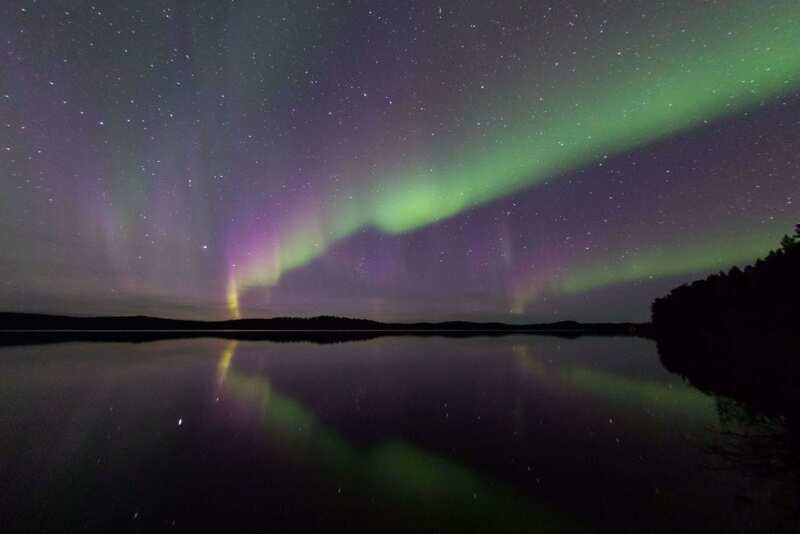 A whole industry has arisen around hunting for the Aurora and there is a network of professional guides and photographers out there who talk to each other on a nightly basis. They also know all the best vantage points so if those lights are forecast to dance, then these are the folk with access to front row seats. The moon fills a minuscule proportion of our night sky and all that hype about not being able to see the Aurora when there is a full moon has been largely debunked. Talk to any aurora photographer and they will tell you that they prefer a full moon when plying their trade. If the moon is directly behind a weak display then there will be some dilution, but we stopped worrying about the lunar cycle a long time ago.